I always think that I REALLY love summer, but I don't. I love that winter ends, of course, and I like to see all the leaves come out and turn green. But around this time each year I start to find the heat oppressive. I feel sluggish and hot and tired. And I can't seem to match the the long sunny hours of the day. The bright mornings that say, 'get up! ', and the equally sunny and bright evenings that say, 'stay up! stay out!'. I could go for a nice dark thunderstorm and a glass of wine around 7 o'clock every night. I'm not a patio person, I guess. And so it is that fall is my absolute favourite season. The brisker, shorter days are invigorating. I feel creative, and energized! And I can wear my jeans again because my limbs aren't all sweaty and swollen. I just really feel like myself in the fall. I feel like doing stuff! And the fall brings the harvest. It's beginning already (in August), and it's so exciting to see all the fresh fruits and vegetables, just picked and ever-so-tasty because they were grown here, and this is their season. 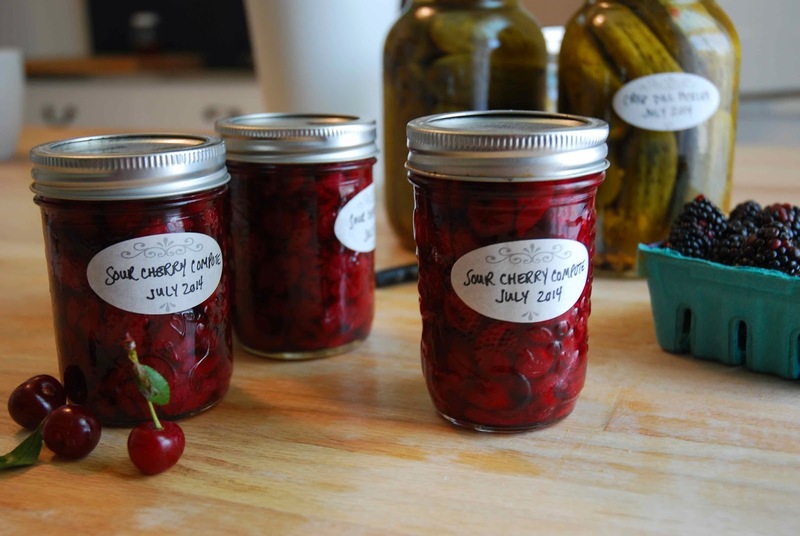 These are the best fruits and vegetables to use for canning. 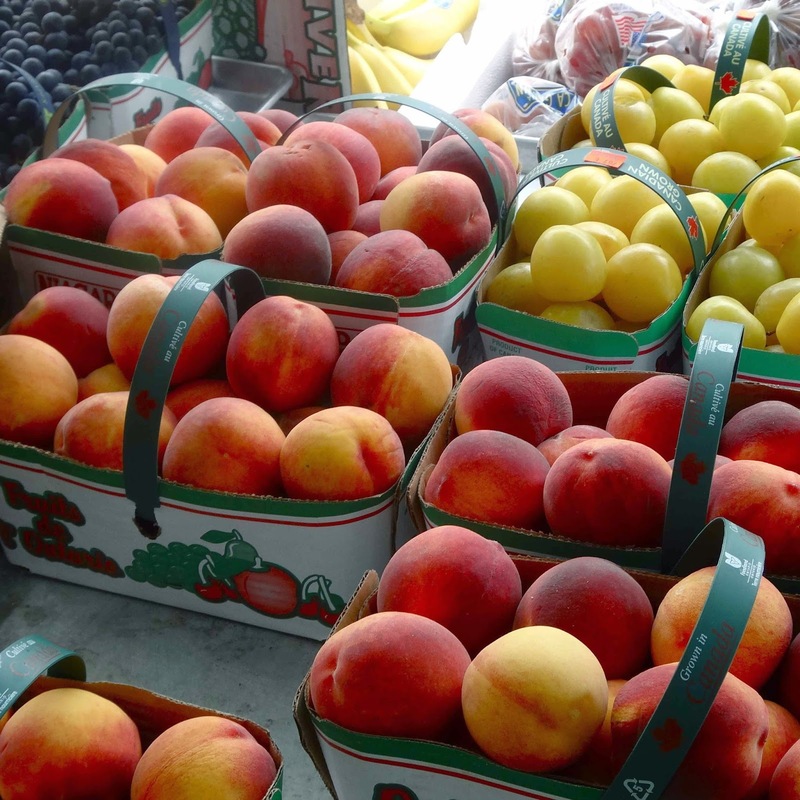 Produce that is ripe, flavourful, and preferably pesticide free. That's the kind of stuff that is worth taking the time to put in jars. 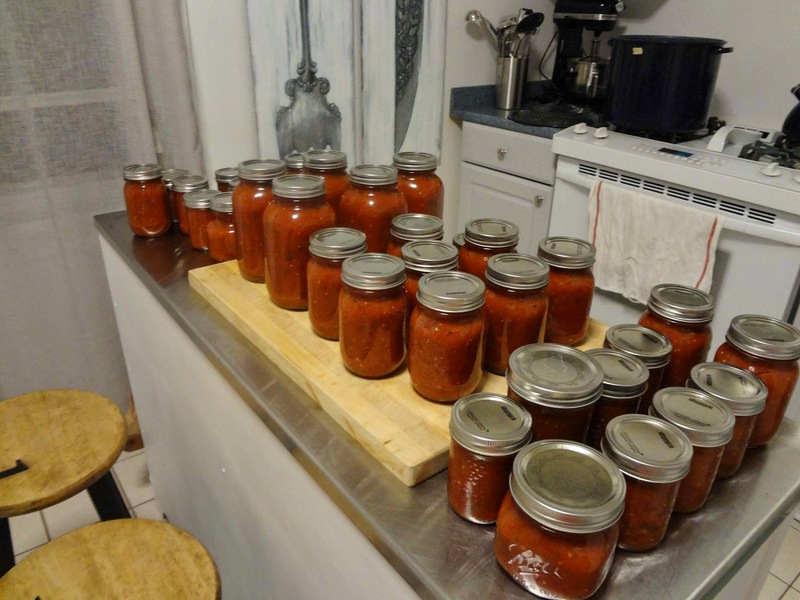 Last year I wrote an essay on my love of canning. Check it out if you're interested and haven't read it. Luckily this year I was able to get some sour cherries (they have a very short season and are easy to miss). Last year I missed them, but my sister, Taylor, got a few baskets and did a bit of canning and made some great pies. This year so far, I've done my strawberry jam, a sour cherry compote, blueberry syrup, sweet garlic pickles, and we tried a new dill pickle recipe for extra crispy dills. (The secret turned out to be soaking the cucumbers in a salt brine overnight). They turned out great! I've also added a new canning book to add to my collection and I definitely recommend it to other canner's. 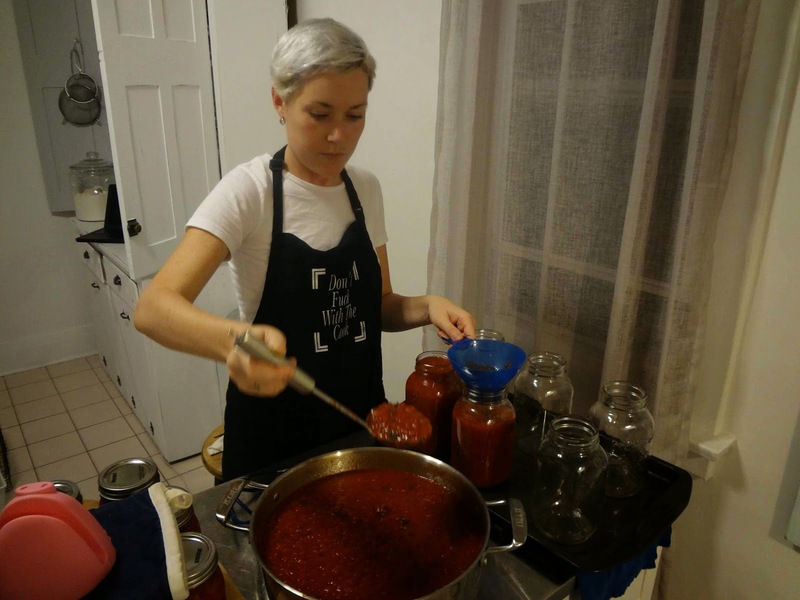 Canning for a New Generation by Liana Krissoff has modern and unexpected recipes, and she understands that not everyone wants to make (and eat) tons of jam. There are so many other great things out there that you can prepare and preserve! Sour cherries are the quintessential cherry; they come from the farmer with the stems and leaves attached and looking exactly like a sixteen-year-old's bad tattoo. Cute, right? 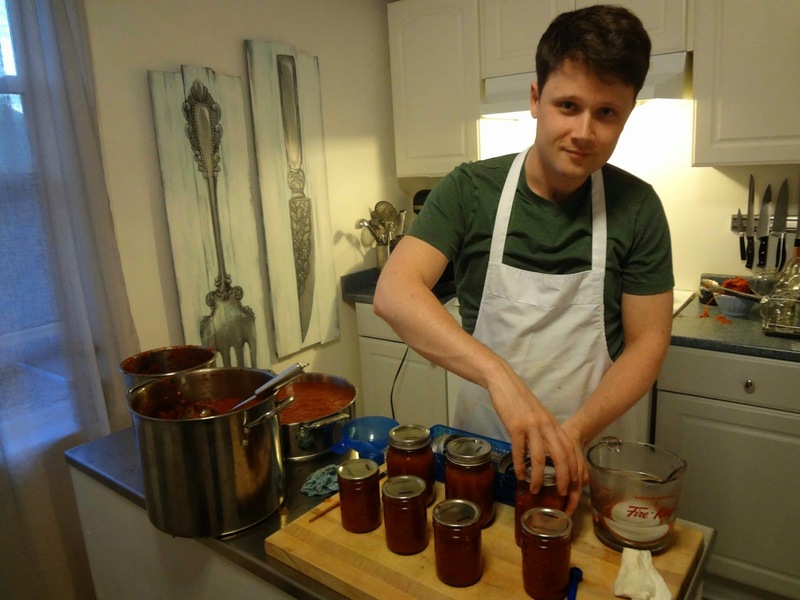 Here we are last year, making our tomato sauce. SO MUCH SAUCE! We still have quite a bit left, can you believe it? 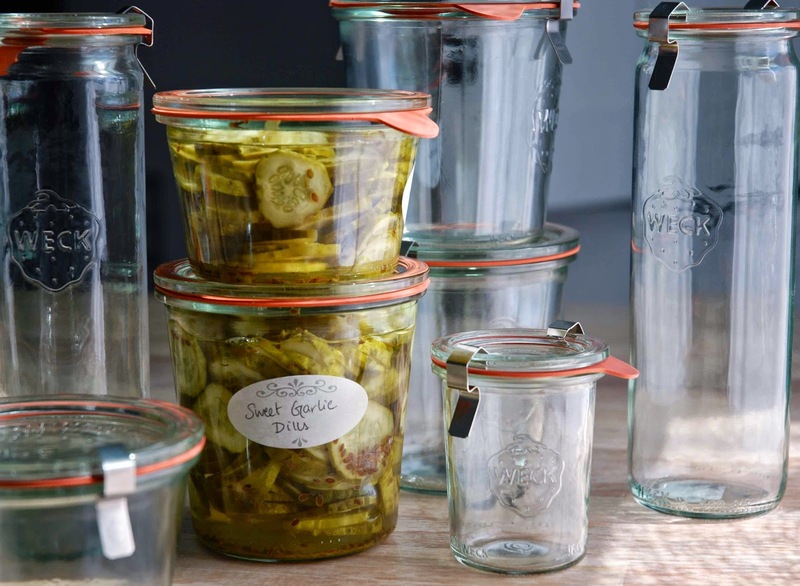 This canning season I became a bit obsessed with Weck Jars. In my attempt to get some, I even put an add on Kijiji asking people to let me know if they had any and wanted to sell 'em! Luckily for me, my sister, Taylor gave me a whole bundle of Weck jars for my birthday! 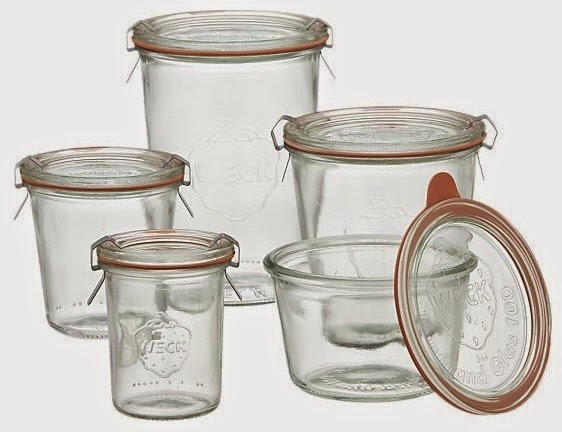 Weck jars are pricier than Mason jars, but they have many advantages: all of the parts are reusable, the canned food does not touch any metal, and best of all, the jars come in loads of different shapes and sizes and they are stackable (when you stack mason jars you risk breaking the seal, so they are not stackable). Taylor found the Weck jars at William Sonoma, and I recently bought a few more there as well, but they were quickly selling out! I tried my super cool new jars out for the first time the other night when I prepared one of my seasonal favourites, sweet garlic dill pickles. The jars worked very well, but there size did make them a bit tricky to hold in my canning tongs, a small problem. No biggie. That's all for tonight. I'll keep you posted on our canning adventures. 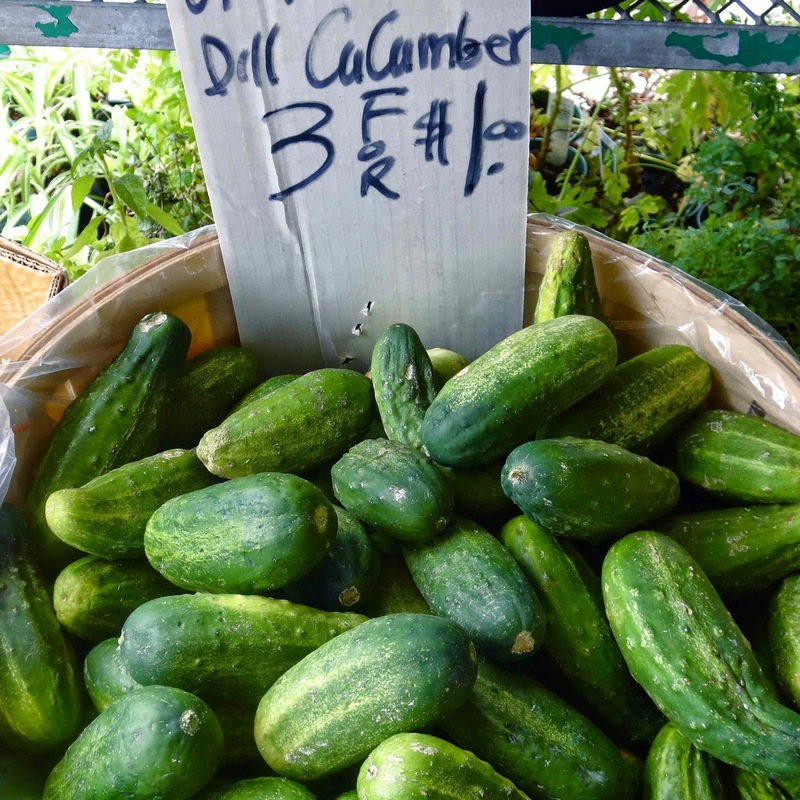 To read 'Canning Season [Thoughts on a Delicious Hobby]', click here. 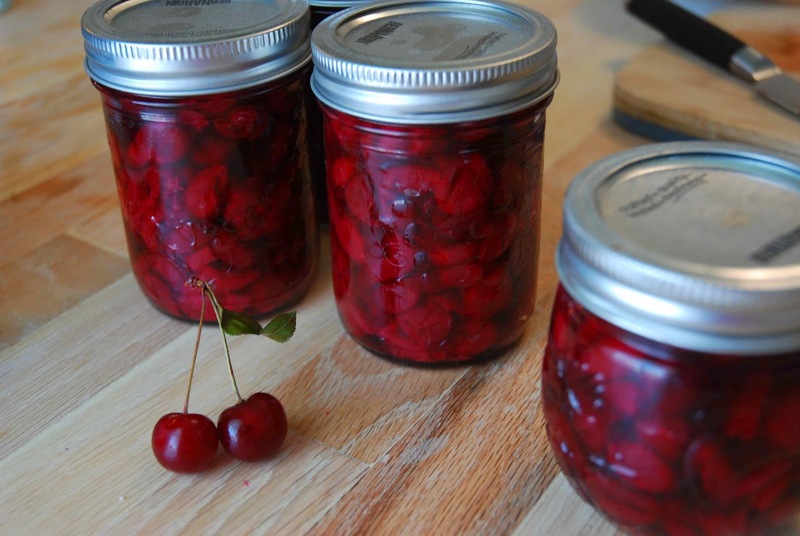 For a photo step-by-step canning how-to, click here. 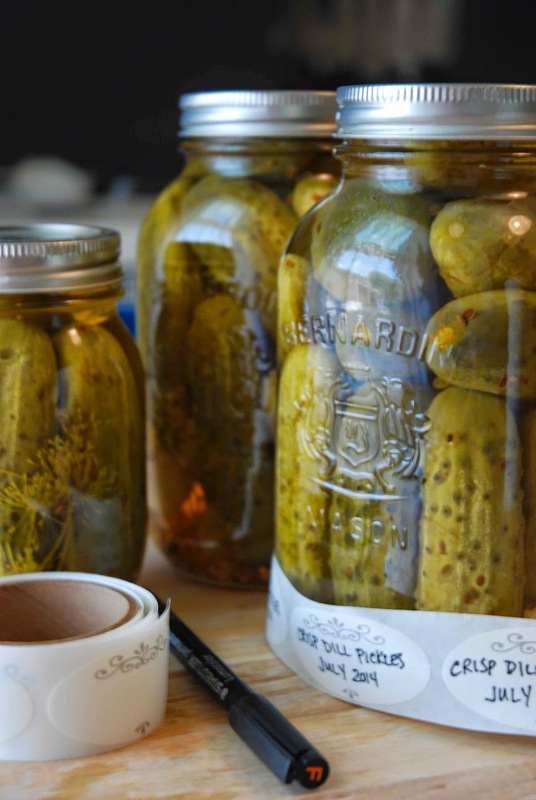 Your pickles look amazing!!!!! I will take 3 jars!!! Thank you! They're super easy to make! And the recipe can be found in the book Small Batch Preserving by Ellie Topp.